MAPP is a gas mixture created by the Dow Chemical Company that is a combination of liquefied petroleum gas (LPG) mixed with methylacetylene-propadiene. MAPP gas can be highly pressurized and stored in the same way as LPG, and it is a favorite of hobby welders. However, MAPP torches provide a very hot flame, almost as hot as oxy-acetylene, and the gas can be used for industrial metal-cutting operations. MAPP should not be used for welding steel because the hydrogen in the gas mixture can result in brittle welds. Fit the parts to be welded together and check for alignment. Light the welding torch and adjust the flame. Some MAPP torches use a separate oxygen cylinder; others rely on air to provide oxygen to the flame. Touch the flame to the work pieces and move in a small circle to melt the material at the weld zone. Move the torch to move the pool of molten metal forward and add filler material to the weld with the filler rod as needed. The base metal should be hot enough for the filler rod to melt like solder when touched to the work piece. Continue to move the weld forward until it is complete. As the work piece heats up, adjust the welding speed to avoid burning through the metal. Allow the weld to cool when complete. 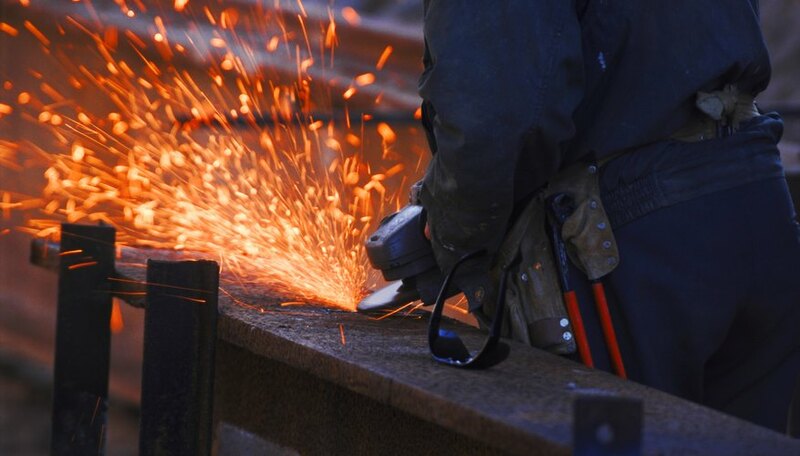 As with any type of welding, welders should always wear protective gear, including welding mask, gloves, and coveralls to protect them from the bright light during welding, sparks, and hot work pieces. Kristoff, Susan. "How to Weld with Mapp Gas." Sciencing, https://sciencing.com/weld-mapp-gas-5925408.html. 24 April 2017.